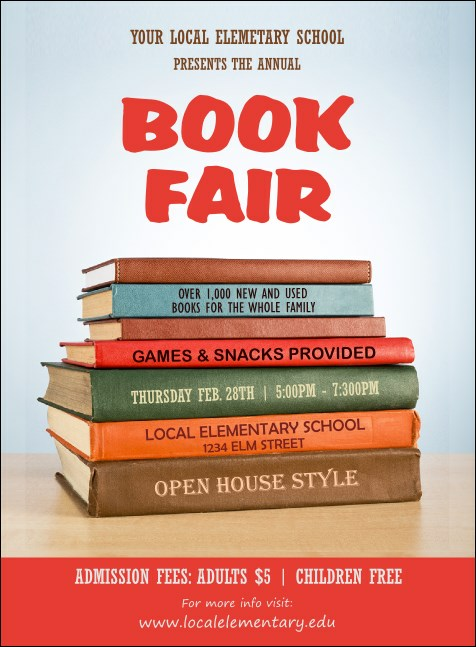 Send an invite that will attract the attention of every paperback, hardcover or non-fiction aficionado you know when you use the Book Fair Invitation! This eye-catching template is styled to work for kid friendly or adult only events of any kind. Fourteen lines of data are easy to change to fit your function. The right invitation from TicketPrinting.com can help get them in the door!